Todson, Inc. has recalled approximately 40,000 Topeak Babyseat II Bicycle Carrier Seats. The recall was made because it was learned that a child who is riding in the carrier seats could have his/her fingers caught in a hinge mechanism. The resulting injuries could be severe and cause amputation of the child's fingers. These Bicycle Carrier Seats were sold at various sporting goods stores, such as REI, Action and Hawley, and other retail stores nationwide from January 2009 through April 2012. The attorneys at Keating Law Offices have handled a number of product liability cases and bicycle injury cases. 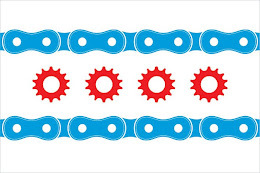 If you have any questions regarding this post or an issue involving Illinois personal liability law, or product liability, please contact Illinois Bicycle Attorney, Mike Keating at 312-208-7702 or mkeating@keatinglegal.com. We are available 24 hour a day, 7 days a week. All e-mails and phone call are returned promptly. All initial consultations are confidential and free.